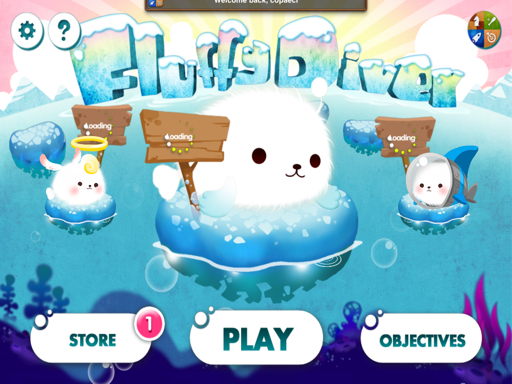 Actually, Fluffy Diver is just an ordinary arcade game. The reason why I review it here, cause I want to share about the back song which so relaxing for me. This game was made by Korean publisher. So, the back song is kinda brings Korean's nuance ( Korean's music genre). Unfortunately, I can't share the audio here. However, I just can share the screen shots only. The game play is so simple. 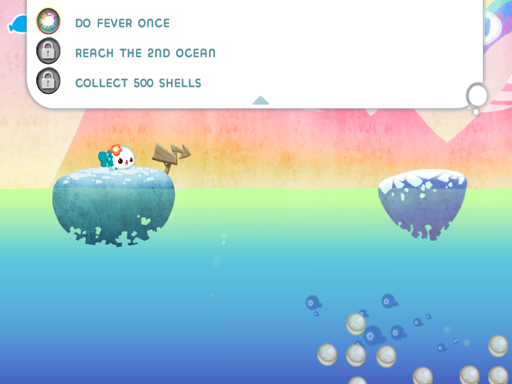 Just tap to dive the sea. The graphics is quite nice too, 4 from 5 stars I think. The fluffy icon looks cute. 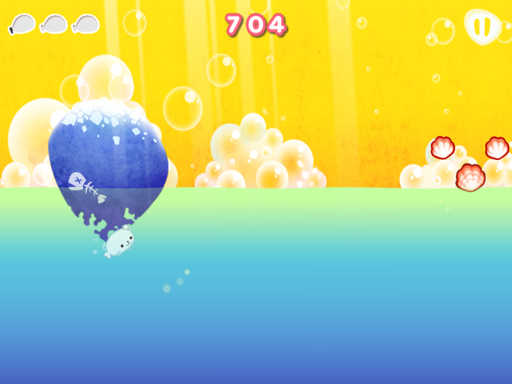 I like the flying effect from the fluffy, but as I said in above, I really like the back song of this game, that's made me want to play this game again and again, though I never get enough high score.... :( so hard to play... Need some tricks. Like other arcade game, there are power ups which you can upgrade to make it last longer or some utilities for single use (in here is for 3 games). There are other characters too. No special abilities from the characters. The difference just their appearance only. Oh, one more this game is integrated with Game Center. There's some achievement and leaderboard. This game is freemium, buy the Pro version if you want to unlock all the characters. The freemium version also provide stars with buying IAP.